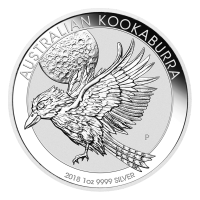 Purchase your 1 oz 2019 Australian Kangaroo silver coin from our store online to enjoy the best price on the internet. This bespoke offering from the renowned Perth Mint pays tribute to the most famous of Australia’s richly unique, indigenous fauna: the kangaroo. The reverse features a magnificently detailed artist’s rendering of the farthest jumping marsupial, set to staggering effect upon a field of eye-catching, star-burst design. 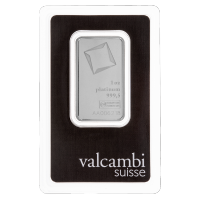 Set within a ripple-textured, micro-engraved border also on the coin’s reverse, you’ll find the title of the coin, along with details of release year and metal weight, purity and content. 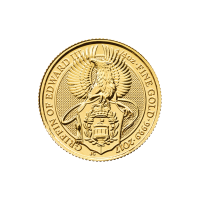 The obverse of the coin is a testament to the unparalleled minting prowess of Australia’s Perth Mint, with a ripple textured border enclosing one of coinage’s most detailed portrait’s of Elizabeth II. 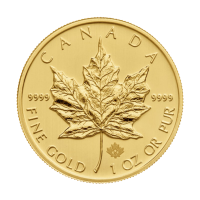 Within the obverse border you will also see the coin’s country of origin, as well as Elizabeth II’s name and the coin’s unique denominational value. Australia’s wilderness is home to in excess of 34 million kangaroos, although the species is to be found on not one single other island or continent. Commemorate the earth’s diversity, without which dreams would surely lose their colour; fortify your holdings with a 1 oz 2019 Australian Kangaroo silver coin today. 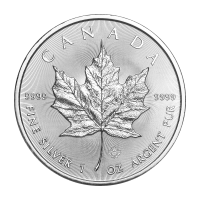 1 oz 2019 Australian Kangaroo Silver Coin Purchase your 1 oz 2019 Australian Kangaroo silver coin from our store online to enjoy the best price on the internet. This bespoke offering from the renowned Perth Mint pays tribute to the most famous of Australia’s richly unique, indigenous fauna: the kangaroo. The reverse features a magnificently detailed artist’s rendering of the farthest jumping marsupial, set to staggering effect upon a field of eye-catching, star-burst design. 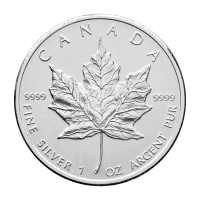 Set within a ripple-textured, micro-engraved border also on the coin’s reverse, you’ll find the title of the coin, along with details of release year and metal weight, purity and content. The obverse of the coin is a testament to the unparalleled minting prowess of Australia’s Perth Mint, with a ripple textured border enclosing one of coinage’s most detailed portrait’s of Elizabeth II. 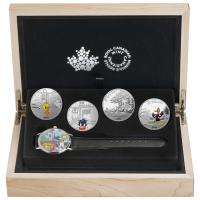 Within the obverse border you will also see the coin’s country of origin, as well as Elizabeth II’s name and the coin’s unique denominational value. Australia’s wilderness is home to in excess of 34 million kangaroos, although the species is to be found on not one single other island or continent. 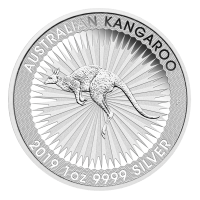 Commemorate the earth’s diversity, without which dreams would surely lose their colour; fortify your holdings with a 1 oz 2019 Australian Kangaroo silver coin today.